Day One of A Dusting of Snow | NJNA is Blogging! Carol K. and Marge K. and I are all taking Gail Stafford’s “A Dusting of Snow.” I am really enjoying the class — Gail is a great teacher and I’ve learned a couple of new tricks…the piece is a manageable size, the threads are all cottons, and the finished piece is spectacular. The design is based on an actual gazebo that is a couple of blocks from her house. 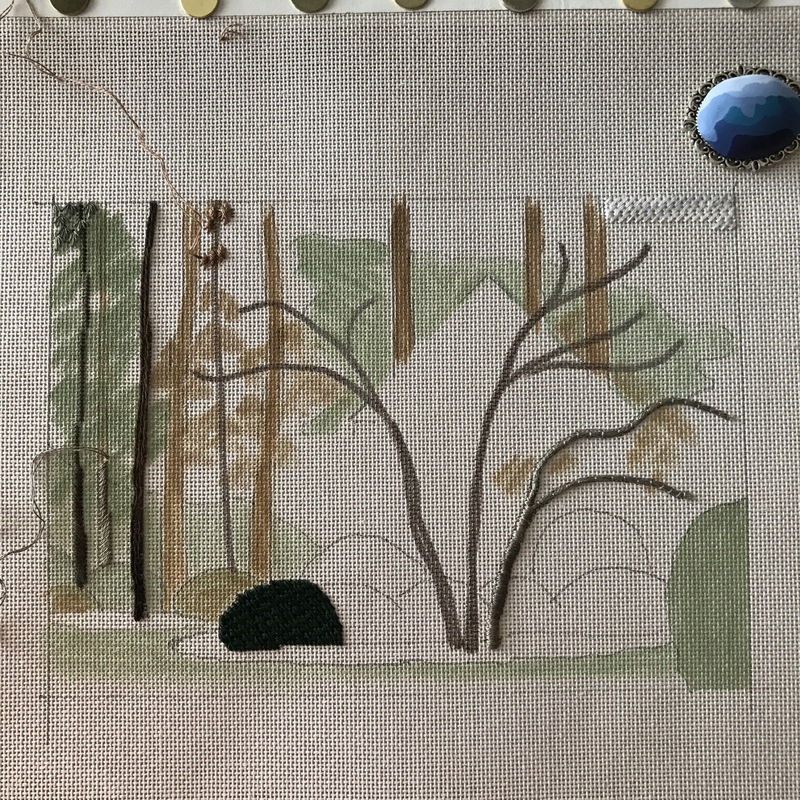 Here’s my progress after a day of stitching…How is it that it looks like I’ve accomplished so little after an entire day? Notice the magnet in the upper right — a special hand-crafted one for this seminar. Carol and I both succumbed when we saw them in the boutique. And speaking of the boutique, it is spectacular! It’s run by ABC Stitch Therapy in Spring TX and they came with a huge selection of threads, cross stitch patterns, painted canvases, tools, and oh did I mention threads? On top of the impressive inventory, the people are really nice and helpful too. This evening Carol and I went to dinner at the Grove Park Inn, one of Asheville’s landmarks, with two other stitchers we’d met at the opening banquet. We ate on the Sunset Terrace — outdoors, overlooking the MOST incredible view of the Blue Ridge Mountains. Dinner was wonderful, but the setting was equally if not even more wonderful. 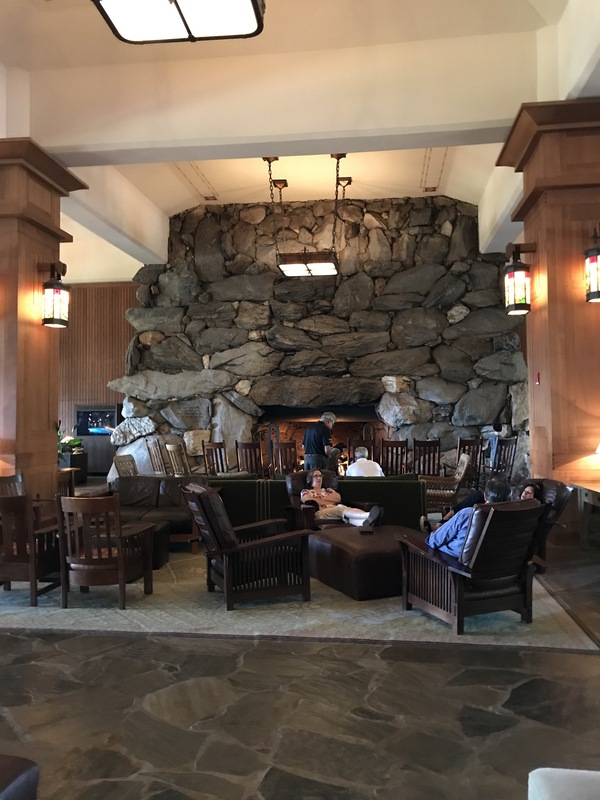 This is a photo of one of the two similar stone fireplaces in the Inn’s lobby, almost as spectacular as the mountain view!